For cats around the world too fat to get off the sofa, for dogs waiting all day to be fed by a forgetful owner; the struggle is over. Petnet technologises pet feeding. Less oversized portions, and more satisfied four-legged friends. 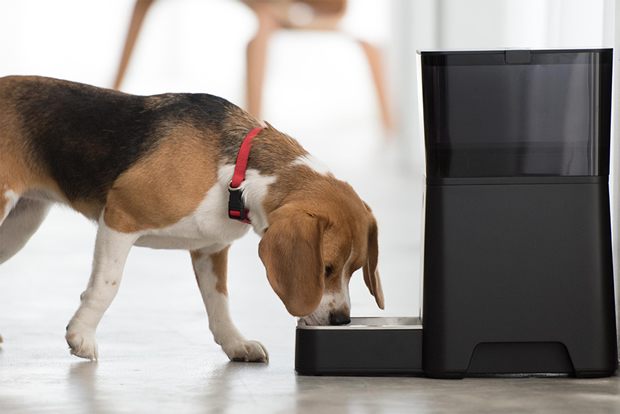 Petnet has introduced the automatic feeder for cats and dogs; a device which controls and regulates how much, and when, your furry friend eats their food. The Smartfeeder has a built-in rechargeable battery, and crucially, a chew resistant USB cable and A/C adapter for those teething puppies. However, the Smartfeeder is named ‘smart’ for a reason. The device does not only feed your pet at regular times, but relays information wirelessly to iOS devices; giving pet owners the control to remotely feed their pets when they’re away from home. In a recent blog post, Petnet gave their ‘Top 10 Reasons You Should Use The SmartFeeder’. 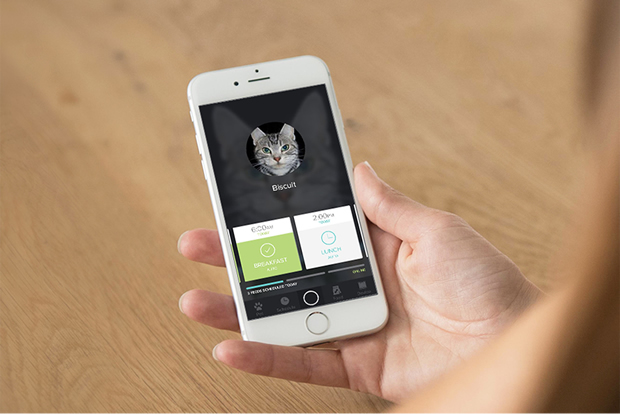 ‘It’s personalised care’: the app inputs your pet’s weight, age, activity level and their food type. ‘It guides you to healthy portions’: no more guesswork or overflowing the bowl under the pressure of puppy eyes. ‘It keeps you connected’: status notifications keep the owner in the loop. ‘It gives you the freedom to feed from anywhere’: no more worrying if you miss your train, or have to stay late at work. ‘It prevents overfeeding with precise portions’: the Petnet app explains how much the dog or cat should be eating, and then the SmartFeeder releases the correct weight of food. ‘It’s high quality food recommendations’: Petnet analyses nutrition and ingredients from a database of over 3,000 pet foods to personalise a recommendation for the pet. ‘It’s better than other automatic feeders’: The only automatic feeder to ensure customised food portions, and can dispense as little as a 1/16th of a cup. ‘It tracks your feeding history’: Helpful data to share with the vet and to keep an eye on your pet’s well-being and health. ‘It’s peace of mind’: Portion control and status alerts allow owners to ensure pets have been fed. 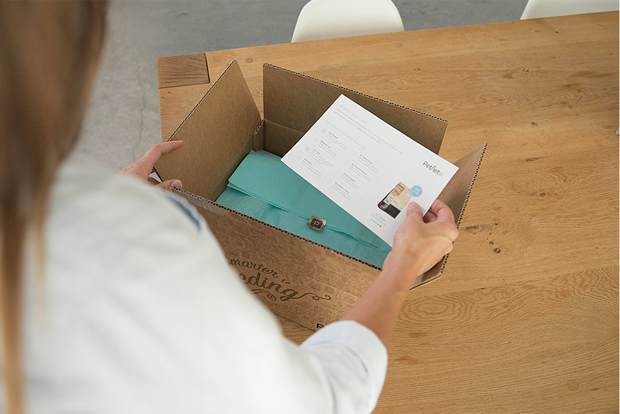 This technology, in combination with the app, covers every step of feeding a pet; from scheduling convenient delivery of pet food straight to the owner’s doorstep to sending wireless status confirmation of food delivery. This technology, in combination with the app, covers every step of feeding a pet; from scheduling convenient delivery of pet food straight to the owner’s doorstep to sending wireless status confirmation of food delivery.